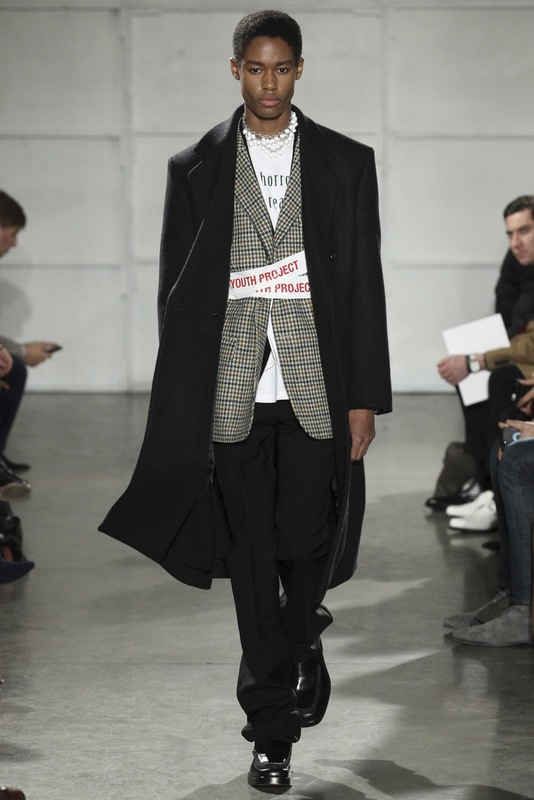 The new creative officer at Calvin Klein captured the youth and the boundless potential of New York City with his collection. We love the oversized silhouettes, necklace-like beading around each model’s neck, and the “I heart” typography mimicking the ubiquitous “I heart NY” tourist apparel. This collection is a tribute to the expectations and innocent aspirations of American youth and tourists alike when meeting NYC for the first time. 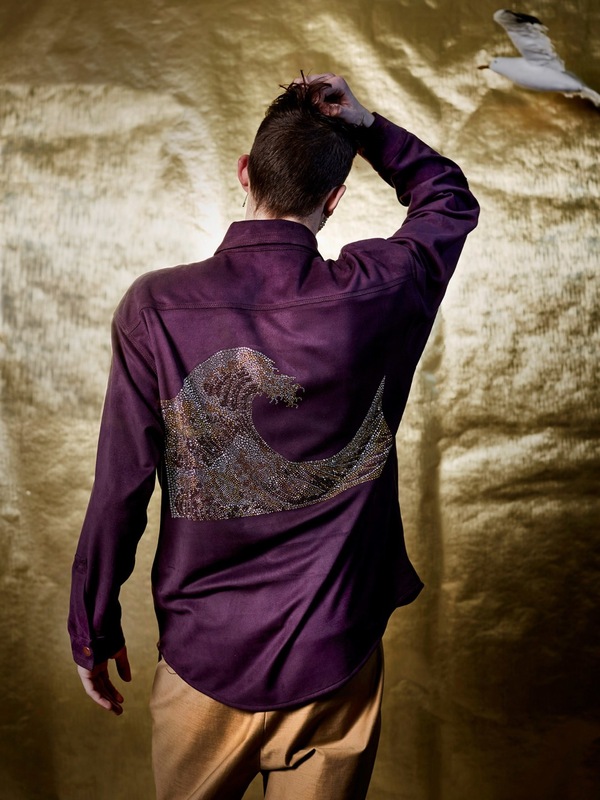 Part California cool, part urban street style, Thaddeus O’Neil’s collection ties together surf and punk vibes with a whole lot of fashion and glam. 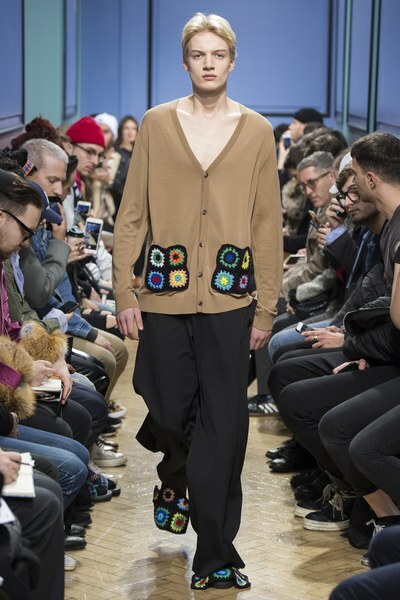 We love the outerwear featured in this collection: there’s a suede jacket studded with a design reminiscent of Hokusai’s The Great Wave and a floral jacquard bomber that is as practical as it is fashionable. 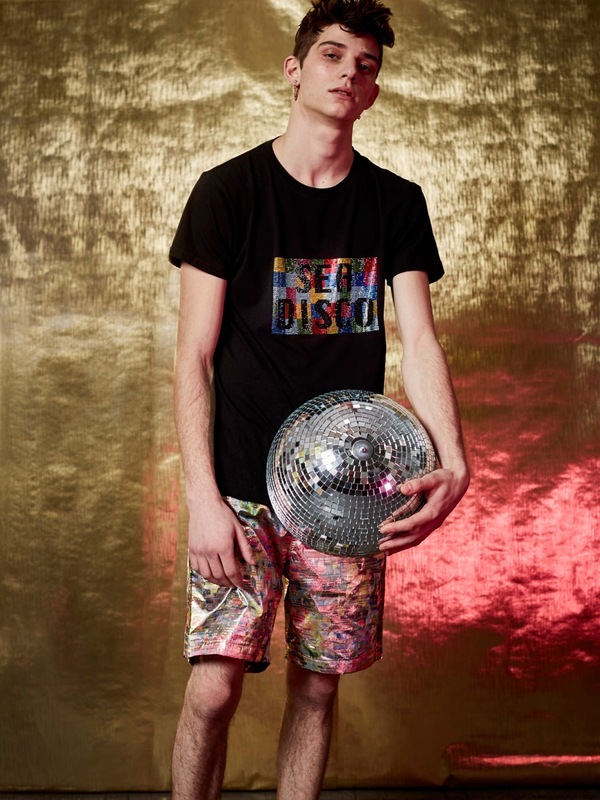 And there’s nothing like upgraded board shorts and a graphic t-shirt that says “Sea Disco” to get us counting down the days until summer. This collection was inspired by medieval knights and traditional British apparel. We love how the knits in this collection appear more like colorful, draped blankets. The collection reaches ultimate coziness in a grandma cardigan with bright crochet pockets. What we’re really coveting during Durham’s not-quite-winter is the sherpa-lined suede jacket with sleek leather details. Inspired by political demonstrations of the ‘70s, this collection reflects a rebellious attitude that can be felt all across the country. We love the casual “notice me” vibes of the various pullover hoodies in this collection; our favorites are a luxurious fur style with athleisure accents and a cozy, but unfinished Nordic sweater-hoodie hybrid. We’re digging the bomber trend and its camouflage rendition in this collection, layered on top of a loose button-up of the same pattern for emphasis.